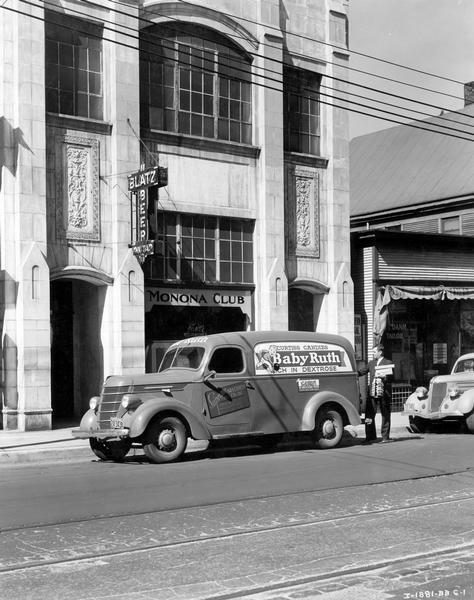 Man unloading boxes of "Baby Ruth" and "Butterfinger" candy bars from an International D-2 truck outside the Monona Club. The truck was owned by the Supreme Specialty Company. The Monona Club building includes a large hanging Blatz beer sign.